Achieve your abroad dreams! with an excellent IELTS score. Individual Attention, British Council Trained Trainers, Weekly Mock Tests, Excellent Results. Regular Batches, Early Morning Batches, Evening Batches, Weekend Batches. Get Training from British Council trained Trainers. 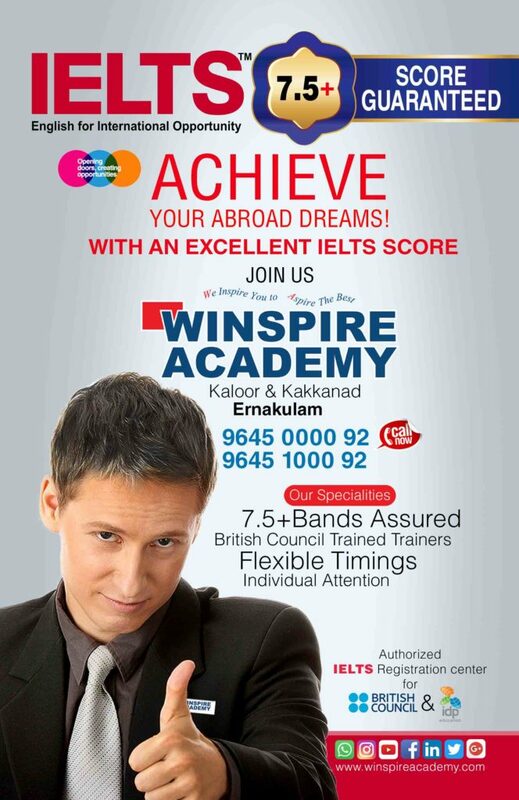 Wispire has always adhered to keep our values and it’s making us as a leader in training academies in Cochin. Kaloor and Kakkanad, Ernakulam, Kerala.